Dr. Louie’s smile and genuine care light up Canuck Place Children’s Hospice. 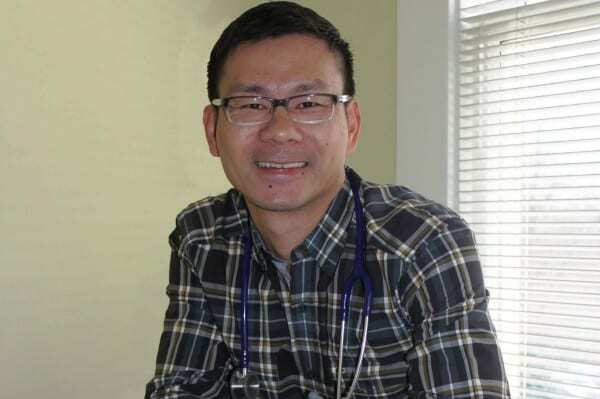 As a pediatric palliative care specialist, Dr. Louie plays a key role in caring for our patients, and is constantly moved by the commitment and dedication of the families who devote such extraordinary care for their children. One of the services Canuck Place provides is a 24-hour care line to support families around the province, for when they need advice on administering a complex drug themselves, or when they just need someone to talk them through a particularly painful night for their child. The importance of this communication with families is something Dr. Louie learned himself through his work here. Dr. Louie lives the Canuck Place value of embracing life every day, and for that we thank him.